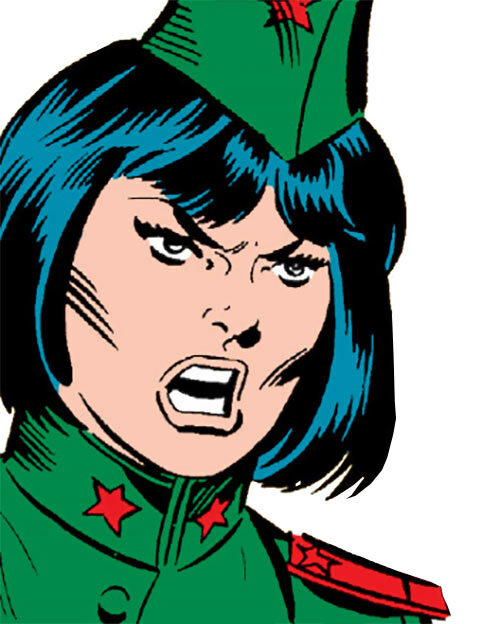 Comrade/Madame X appeared in a 1962 Ant-Man story. It’s only notable for being Ant-Man’s second adventure. Back then he was fighting all the Communists, all the time. However, she and similar Ant-Man enemies made an unexpected return in a 1988 West Coast Avengers story. 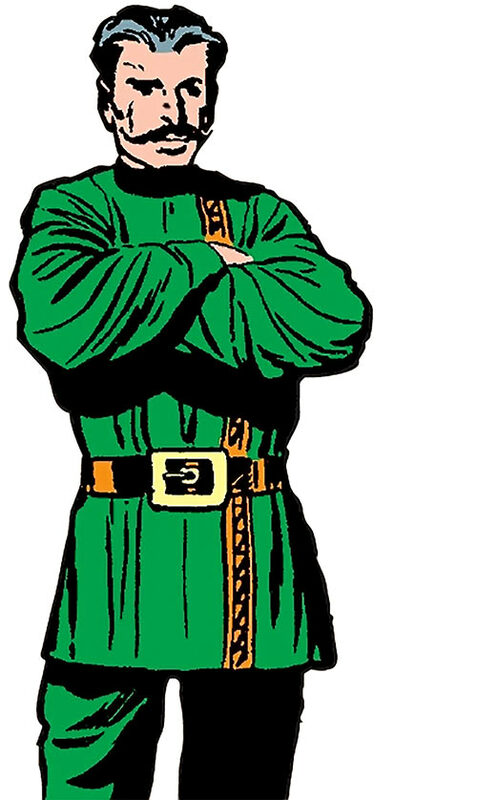 It was just a little gimmick (the story arc was called “Tales to Astonish”), but it was fun. There’s little material, but she’s a good choice if you need a high-end Soviet spy for retro stories. And she could have been any number of Soviet spies of any gender in Cold War propaganda and espionage stories, which opens fun possibilities. Real Name: Nina Vladimirovna Tsiolkovsky. Known Relatives: Presumably a father named Vladimir. Group Affiliation: Presumably the GRU. Formerly a People’s Security Force consultant. Height: 5’6″ Weight: 125 lbs. Nina Tsiolkovsky is a high-end spy. She seems specialised in disguises and in handling unconventional situations. Her schtick was that she usually operated disguised as a man, “Comrade X”. She used a mask, a mini-vocoder altering her voice, a padded uniform, height-boosting shoes, etc.. This was comfortable enough for her to be Comrade X as long as needed. In 1988, she was equipped with a large handgun shooting clouds of poison gas. There was a second holster on the other side of her belt – its size suggests a good old Tokarev TT-33 rather than a Makarov. Since she could do a flawless New York City accent, Nina likely specialised in missions on US soil. 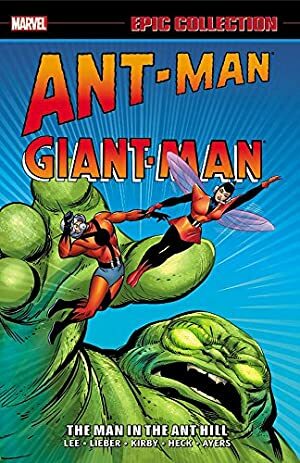 In 1962, Comrade X was detailed to capturing the American super-hero Ant-Man (Dr. Henry Pym) to study his size-changing powers. Sneaking in the US, she posed as a New York City girl to lure Ant-Man in a trap. She pretended to have been seduced then abandoned by Comrade X. Thus, she was willing to give Ant-Man information about the Red spy to have her revenge. Ant-Man had realised her double identity when he found the Comrade X mask in her purse. Pym could communicate with ants over vast distance. Enough to have them board Comrade X’s ship using floating pieces of wood (!) and free him. The attacking ants allowed Ant-Man to capture the entire Soviet team. Comrade X eventually returned to the Eastern bloc. However, she apparently now worked for the conventional military rather than as a spy. By 1988 she was heading Hungary’s People Security Force. This small unit included Communist supervillains who had clashed with early Ant-Man, such as El Toro. 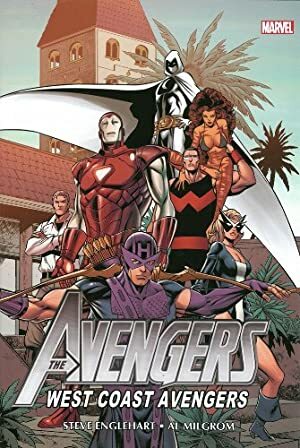 The PSF fought the West Coast Avengers, who had come to Hungary looking for Pym’s ex-wide Maria Trovaya. The PSF managed to take down Moon Knight, Tigra and Mockingbird using surprise and poison. Madame X also had a Quinjet shot down by a SAM. But aside from these high points, the PSF was out of its depth against the WCAs. 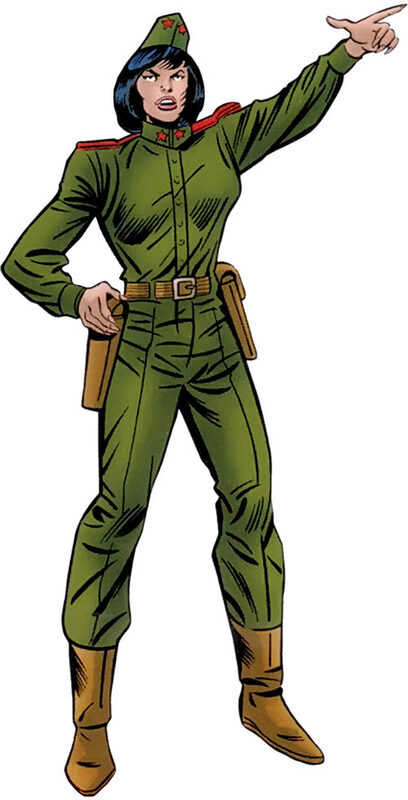 “Maria Trovaya” was much later revealed to have been an AIM double agent, who fed a complex fabricated story to Pym. Whether Tsiolkovsky knew about this is unrevealed. But since she was reportedly an excellent spy, it’s possible that she was knowingly working with (or for !) AIM. Or perhaps Comrade X was manipulating AIM as they were manipulating Pym using Soviet assets they only thought they were manipulating ! According to a New York City taxi driver, Tsiolkovsky was “a mighty nice-lookin’ chick”. In 1962, she seemed 25-ish. In 1988, she seemed 35-ish. See our article about Ageing in the Marvel Universe if that sounds odd. In 1988, she was wearing what seemed to be a M69 Red Army uniform . It’s the men’s version, so with trousers rather than a skirt. And she’s wearing a pilotka hat rather than the visored cap. Her Comrade X outfit is also in dark khaki. “He” wears what seems to be a kosovorotka , the traditional shirt of XIXth century Russian farmers. Which could be useful if unexpectedly challenged to a folkloric dance contest. Being prepared for such incidents is an important marker of adulthood. The Comrade X mask also features a big, dashing moustache. As it should ! Not enough material to say, especially since she’s usually undercover. Later on she seemed to be a cunning military officer. Expertise (Cross-dressing disguises, Espionage), Language (Russian and likely others), Rank (perhaps a Captain). Poison gas gun [BODY 03, Fog: 04, Poison touch: 05, Range: 02, Ammo: 06, Bonus: Poison touch and Fog can be Combined, with Poison touch then being active throughout the Fog, R#03]. Tokarev 7.65mm pistol [BODY 03, Projectile weapon: 04, Ammo: 08, R#03]. Aside from Artist and Weaponry (which she demonstrated), the Skills are blocky assumptions for her niche. Writeup completed on the 17th of November, 2018.